As 2018 wraps up, the award shows begin. 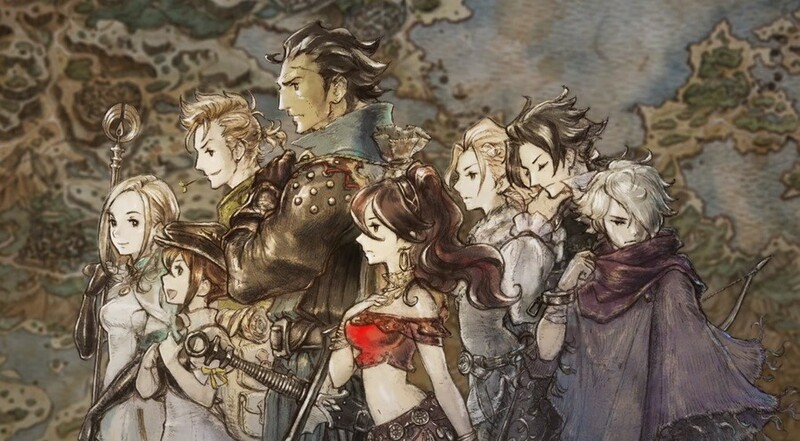 While we wait for the votes at The Game Awards to be tallied, over in the UK, Square Enix's Octopath Traveler has been crowned 'Nintendo Game of the Year' at the 2018 Golden Joystick Awards. The London-based awards show covered 23 different categories, with the majority of votes made by the global gaming public. Most of the other categories were for games exclusive to other platforms, but a few titles that also call the Switch home did get a mention. Dead Cells by Motion Twin took out the 'Best Indie Game' category and Epic's Fortnite scored the 'Ultimate Game of the Year' award and 'Best Competitive Game' on the side. In terms of Nintendo's market competitors, the top PlayStation game was God of War and Forza Horizon 4 won the Xbox category. Capcom's Monster Hunter: World was recognised as the 'Best Cooperative Game' and Dark Souls creator Hidetaka Miyazaki received a lifetime achievement award. Pretty disgusting that PUBG got the Mobile Game of the Year Award though. Much better stuff out there this year than that buggy mess. Florence for example. Fortnite over GoW for game of the year will be a sore spot for many gamers. I understand that Fortnite is a global phenomenon but GoW is a piece of art in every way. Fortnite best game this year? Most wanted game is an award? It kind of had to be Octopath Traveler.The only 1st party options were Kirby, Mario Tennis and Labo. Looking at the list it was competing with, it's not surprising. Still, it's an excellent game. I've only just finished the 8 stories today. Award shows, where insiders pat themselves on the back. Good games. Octopath, God of War, Red Dead, Detroit. As always, PS4/Switch best combo to have. Can't wait to see what Hidetaka Miyazaki has done with Sekiro next year. @Danpal65 PUBG is actually really good on mobile, not like the trash console version. I actually play PUBG on mobile every now and then.... Way better then fortnite mobile imo. "Ultimate Game of the Year: Fortnite Battle Royale" Did i? Did read this right? Fortnite? A game that's still in alpha? What a world. I can't believe Fortnite is seriously what people are calling the absolute best game that came out of the industry in 2018. To me, that's like just the multiplayer mode of Goldeneye winning GotY. Sure, it's fun for a lot of people....but the absolute best that came out of the industry in all of 2018? Clearly I'm out of touch with the modern gaming world, because that just seems like a joke. Fortnite won the Ultimate GOTY?? Fortnite is a great game for a free to play game...but is it so good that it should get the Ultimate GOTY award...of course not. Popularity is the reason its getting this award, Not Quality. Imo Quality and other elements matter more. Fortnite deserves the award based on its pop culture impact. By far the most talked about game of this year. If you put things in a time capsule to represent 2018 fortnite would deserve to be in there. Fortnite wouldn't have a tenth of it's popularity if it wasn't free to play on everything from PS4 to toasters. God of War gets best storytelling.... Not really sure what to say. It was pretty cringeworthy storytelling. Think of all the beautiful, incredible things that videogames can do. They can move your soul with beautiful and impactful storytelling, they can get your heart racing with immersive and blood-pumping gameplay mechanics, and they can take your breath away cutting edge graphics and gorgeous artistic direction. Fortnite does none of this and gets GotY. GG Golden Joystick, GG. It"s cool, but now that I have actually had a chance to truly get into it more, I feel that it is not as great as I was bludgeoned across the head with. I plan on playing it through to completion so we'll see, but IMO it isn't the world beater that I was promised. God of War deserves all the recognition for sure! It’s my GotY. Also, though many on here seem to hate on Fortnite, it is a really well put together game and changes up often enough that it doesn’t get too boring. I’ve played roughly 100 hrs of it on my Switch. Sorry that Spider-Man didn’t get recognized since it was such a great game as well. FFS, an article on a Switch game winning an award and people still use it as an opportunity to hate on Fortnite! Never played Fortnite nor care to, but come on, give it a rest. The "Nintendo Game of the Year" section reward a Square Enix game. God Of War for Playstation and Forza Horizon 4 for Microsoft. I found that interesting. Nintendo was not capable to produce a "Game of the Year" themselves during an entire year ? Because the game awards ignore the holiday season. 2018 still has 1.5 months to go. Sure 2017's holiday season counts now but no games from the previous year's games ever get awards. Nintendo has Lets Go and Smash Bros Ultimate in 2018. It's the Joystick Awards that chose to ignore them. The final boss was a real let down. No proper ending there and you need a specific set up to beat it. The 8 individual story endings were the real treat in this game. Short but really well done. @Kmno agree totally. GOW got most of my votes. Red Dead 2 got my soundtrack vote tho. Only reason fortnite is even on there is because it's free to play and all the parents let the kids have it for that reason. If it was a ful priced paid game it wouldn't even get a sniff. But that's just my opinion. Octopath over Xenoblade... I don't know if everyone will agree with that. I know but it doesn't change anything because that "rule" applies to Sony and Microsoft too. My lady just got this for me for my Birthday. The demo is great and I am really looking forward to the game as a whole. Ultimate Game of the Year: Super Smash Bros Ultimate. Sorry Fortnite, but it's literally in the title. @Trajan You mean Torna the golden country? I suppose that's a little too small to compete with Octopath...? Pretty embarrassing really considering it's not really a Nintendo game, just an exclusive which will probably end up getting ported one day too. It's a lovely game, but man that's a shoddy showing from the big N this year. Only other game is smash, which unfortunately I find dull as dishwater. Bring on 2019, that's all I can say. I haven’t tried Celeste yet but Dead Cells might be my game of 2018. I’m 45 hours in and still hooked. The wrong Monster Hunter won Best Cooperative Game imo, MHGU is much better than MHW for co op. The release window and the fact MHGU is a port probably had a part to play though. I've seen several videos on YouTube recently about how the industry is focussing on online multiplayer games over offline single player games. What bothers me about Fortnite getting GOTY is it sends a message that the industry is right to focus on online games. Unfortunately most entertainment industries get tunnel vision and concentrate only on what they think will make them the most money but we want a good mix of games. It changes everything. Everyone game released at the end of the year should be allowed to be counted for that year's game awards regardless of which platform it was released on. GoW and Red Dead are my highlights of this year. Just waiting for a discount on Ocotpath and Xenoblade. Plenty of indies to look at! Fortnite? Sounds like click bait. Yeah buddy, give the Octopath Travellers their due. Best Switch game of 2018 hands-down (until Smash). No surprise. 2018 was a bit of a weak year for Nintendo exclusives. Too bad Xenoblade 2 won't win anything anywhere, apparently, because it's caught in this twilight zone between 2017 awards programs and 2018. Excuse me, say that once more..? @Strumpan No, the main game. If this award is in November, the base game came out Dec 1st. The Demo was great but I didn't get to the full game yet after getting the CE version. But need to get back to it or rather got lots of others that I need to get back to. Overwatch won E-sports game of the year, again? Thought the game was dying. Detroit: Become Human is a platformer? And PubG won Mobile GOTY, and NOT Fortnite? I have so much doubt in this one. Good on God of War, winning as much as it did. 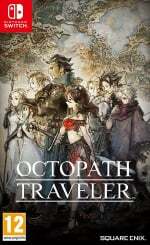 I am so happy Octopath Traveler finally received an award! It is an excellent game that every JRPG lover who owns a Switch should give a try. The gameplay and music are both absolutely incredible. I also love how each story appears to be separate at first, but as the game progresses you realize there are subtle connections between them. I won't spoil anything, of course, but I will say (for those who don't know) that there is a certain unlockable something that ties each story together in a great way at the very end. @Kaizoku I loved Octopath too!! So far have put 85 hrs in. Preparing to face the final final dungeon now ! I think it’s bs that Donkey Kong didn’t get a chance (again) at the best music category. Still one of the best soundtracks ever!! Also why is Fortnite so popular? I don’t understand it, am I old?? @Strumpan - Xenoblade 2 counts as it came out in in December 2017. These rewards do not count November and December of the same year, but counts towards next year rewards. So here is an example: November and December 2018 games has a chance to win the Golden Joystick in the 2019 awards. Eh. I know a ton of people are crazy about octopath, but I'm not really a fan. I knew just from reading the nominations list that I wasn't really going to care to much about this year's awards, though. Fortnite is fun and it’s clear Epic games have put a lot of effort in making it an appealing game, but GOTY? What is an award like this for? I mean Fortnite definitely has had a huge impact on the industry as a whole, but the game isn’t exactly innovative. 5 years from now are you going to go back to Fortnite and think it is so great? The pleasures of the game are purely ephemeral and Fortnite will be kicked to the side once the next shiny thing arrives. I am surprised Hidetaka Miyazaki got the Lifetime Achievement Award. Armored Core and the Souls series have both been strong. Makes me think Kenichiro Tsukuda deserves one too! Nice to see a third party game getting the recognition on a Nintendo system. @Rontanamo_Bay So? I suppose free to play games have advantages to get in the awards then......... But really non-free to play games don't have that advantage then...... Anyways what I said is true still. @Trajan Ah, I see, that makes perfect sense of course. Yes, in that case Octopath is a very odd choice over Xenoblade! Octopath Traveler is a fantastic JRPG, but Fortnite getting GOTY ANYWHERE is why I don't pay attention to game awards or anyone else's opinion when it comes to gaming. It's cool to discuss them, but I personally believe Celeste, The Messenger, or God of War all deserve game of the year over Fortnite. Smash will undoubtedly be my favorite game this year when it releases, though. Edit: Fortnite didn't even come out in 2018! I hate that "live service" games like Overwatch and Fortnite can win awards years after release. Sure they're fun games, but there's so much that comes out every year and games in 2018 deserve 2018 awards over ones that released last year. @Strumpan Seems to be a theme. TBH: Torna was longer than most games even today! Probably took Nintendo by surprise, hence the physical release (which I'm glad came out [double dipper]). Wait. How is MHW the "best cooperative" game? The coop is flat out broken. I switched to MHGU explicitly because MHW coop is flat-out broken. Who is voting on this stuff? MHW is many things. Best cooperative game is not among them. GoW wins most everything yet RDR2 wins critics choice....so ultimately game of the year goes to.....Fortnite?! This award program is a bigger joke than I thought it was . It's like a Michael Bay film winning the Oscar for Best Picture. Guys, voting for the Golden Joysticks are done by the public, so it stands to reason that the most popular games get the votes. Heck, you probably have a number of people creating dummy accounts to vote more than once. Wait for actual critics' awards if you need something to nitpick. Also, I felt that Spider-man's story deserves a nod over God of War's. My personal, non-critic opinion, of course. God of Millennials: OVERRATED!! Best story? Yes, suddenly going from a rapacious, constantly-yelling, murderous ashy Larry to stoic-silent, beard-having, “caring” Family Guy (having kids is hella unique!) is something to behold... Brava; who comes up with such breathtaking originality?! Octopath Traveler is wonderful. That’s all.